Mwah....it's not too bad E-beertje. What is it, sweet boy? Flowers M-tje..I made them myself! ooooh, that's soooo sweet of you little bear, thank you!!!! They are just wonderful! 1:24 daisies!!! i will look for a vase to put them in! Shall we put them in your house E-beertje? That way we all can enjoy them! This is a nice place for them, M-tje! 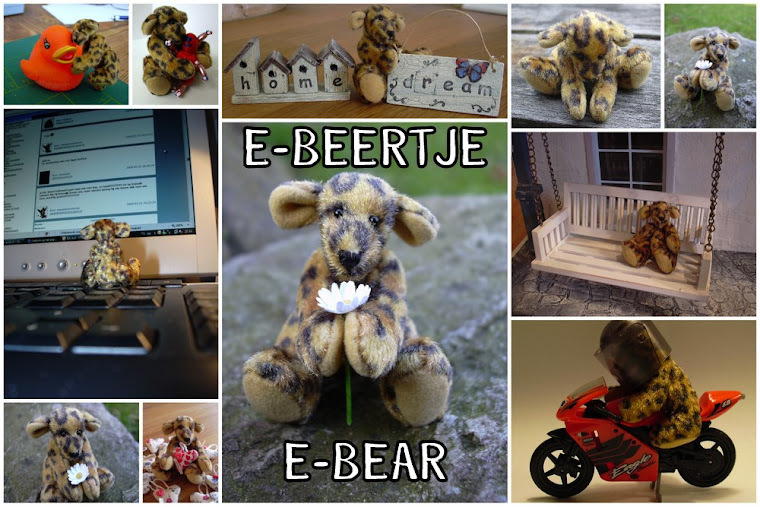 Dear E-beertje, you make me happy...every time again, thank you! Quedan genial en ese jarron. awww~~ i love this place! Un buen trabajo. Los petalos tan finos seran dificiles. Me encanta este ramo.